Been a while mate-hope all is well. Btw what are your thoughts on Guan being punished for slow play while Tiger Woods got a 2 shot penalty for a drop ball in the wrong position. Guan should have he broke the rules they can't take favour's towards someone in a major tournament. Woods should have been disqualified if it was anyone else they would have been disqualified. I agree-yet they did on behalf of Woods or at the very least tried as hard as possible to not disqualify him as he means a lot of money for the tournament. -8: Angel Cabrera (Arg) through 12 -7: Jason Day (Aus) through 13, -6: Adam Scott (Aus) through 12, Marc Leishman (Aus) through 12 -5: Brandt Snedeker through 12 -4 Thorbjorn Olesen (Den), Sergio Garcia (Spa) through 17, Tiger Woods through 13. -3: Lee Westwood (Eng) through 15, Matt Kuchar through 13 -2 John Huh. Rory Mcilroy 14/1 - Having a solid season making the cut in every event so far this year has had three top 10 finishes in his last events I personally cannot see him winning but he will in my opinion be around the top. The winner in 2011 missed the cut last year. Lee Westwood 25/1 - Has played mostly solid golf this season apart from a few hiccups. Finished top 10 in last three events up to the Memorial tournament where he is already +4. Westwood has played in the Us open 13 times and has only finished in top 10 four times finished T45 last year. Play already delayed though to bad weather doesn't look like it's going to stop anytime soon. With all of us we have a good spread. Coral are paying to 6 places. As our paddy and they said they would match my first bet with a free second bet so had Bubba Watson with Jordan Speith being the free shot. Backed both E/W too as 6 places is great value. Yeah it was Paddy Power I was looking at. I have yet to place a bet on the three I mentioned but will be later. Still early days but £10 on Kaymer to win is looking good so far at 40/1. Kaymer must have brought the money home for you Matt? Brilliant afternoon session sees Europe take the advantage, was at work this morning so didn't see the four balls that went America's way late on to see them take a point advantage. Brilliant afternoon session Donaldson aided by the old stager. Westwood played really well, Rose and Stenson together today were just awesome so solid, so consistent and there scoring was brilliant. Dubuisson took to it like a duck to water but the real killer was the half point Mcllroy and Garcia took after being 2 down with 2 to play. That makes such a difference and mentally that would have really damaged the Americans, Rory's 40 yard match saving putt on 17 and Garcia's approach from such a bad lie at 18 was the shot of the day. Roll on the morning, early strike for Europe but America will be very determined. Conditions pretty harsh at the Farmers Insurance open. Jimmy Walker 2 bogeys in the first couple of holes already! Last day today. Anyone expecting an upset? 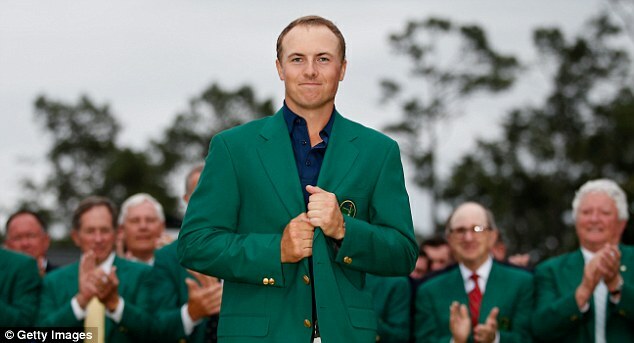 Spieth would have to do a Norman and I'm not sure I can see that happening. Fingers crossed for Rose especially as I had 2EW before the tournament always bet on him for every major, English solidarity and all that. can't see it though Speith has by and large looked rock solid would take a monumental effort for Rose or Lefty to overtake him. Be surprised if Speith shot anymore than a 68-69 meaning one of one two has to shoot a 63ish round to win....very tough ask!! Haha not sure you'll need to but stranger things have happened. Fingers crossed for Rose especially as I had 2EW before the tournament always bet on him for every major' date=' English solidarity and all that. Spieth really has looked un-flappable so far and as much as I would like Rose to challenge I think the main threat will be big Phil, he loves Augusta and manages to pull out some un-believable shots out of no where. Fantastic solid round by Spieth, never looked in real trouble. Already an excellent talent it's scary to think how good he will end up being as he gets older and improves even more. Rose had a solid round but never really put in a real challenge unfortunately.